The article says "Bear Canisters trap the odors". This is not even close to the truth. Bear canisters work by being strong enough that a bear cannot break into one. Bears can absolutely smell the contents of the bear canister. But the bear can't get to the food. 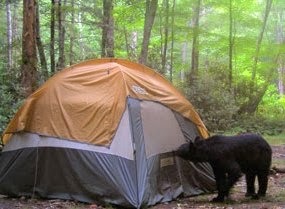 In some areas bears have actually learned that while bear canisters smell like food, they're just good smelling and frustrating puzzles. There are many videos of bears attempting to get food out of a bear canister. They are certainly not air tight or smell proof. Greg - I'm not an expert on this, but you do appear to be right. Thanks!